Induction Cleaning is one of the things that you can do to bring your car back to what its fuel economy and performance was when it was new and Turbopacs has been helping drivers to do this for over 20 years…. At this stage it’s important to note that 80% of an engines power comes from its head. The induction systems are those parts that meter and direct the flow of air into the engine such as the throttle body, inlet manifold and head and valves. 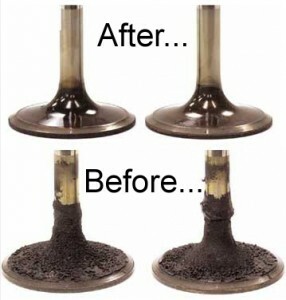 One of the major problems with modern engines is that over time the induction system gets dirty and on diesels in particular this leads to ports becoming progressively congested with carbonized oil and soot and loosing their flow rate and volume as the contamination builds up and the ports and valve capabilities actually reduce. It’s a bit like porting a head in reverse! 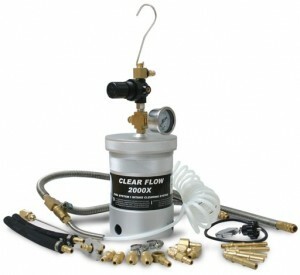 This in turn upsets airflow and efficiency of the engine and leads to decreased fuel economy. Along with that, the components past the throttle body such as the inlet manifold, head inlet ports and valves get dirty and need to be cleaned. It’s at this point that an Induction Clean comes into its own and it’s really noticeable and we have actually been able to measure these gains on our dyno. How do you go about cleaning them? Well, one thing you don’t do is you don’t go out and buy that trusty can of carburetor cleaner and start spraying it into the throttle body. You see, a lot of throttle bodies have a coating on them and if you spray the carburetor cleaner in there, it’ll damage that coating and then you’ve got real problems. You also don’t spray anything into a mass air flow sensor, as it doesn’t make any difference. What you are going to do, if you do that, is damage or destroy the mass air flow sensor. Well, you have the Induction Cleaning performed here at Turbopacs in Durham. And this is what we do…..
A chemical detergent is pored into the unit, and is then pressurized. Under pressure it goes down through the hose whilst the engine is running, and then through a nozzle creating a wide spray pattern very similar to the nozzle on a spray gun. We time the introduction of the cleaning agent and this then cleans the throttle body and the entire induction system, including the intake valves and it restores not just fuel economy, but throttle and turbo response and improvements in bhp and torque.. 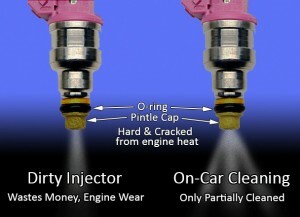 Heavy deposits are common in the air intake system to control emissions. 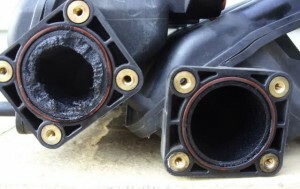 Noxious exhaust gases and crankcase vapors are captured and fed back into the air intake system through an EGR and these as many drivers will know get extremely contaminated. Gummy substances contained in these vapors combine with dirt and form deposits. These deposits will substantially reduce airflow, disrupting the critical air/fuel ratio that is essential to engine operation and fuel efficiency. Drivability problems such as rough idle, poor performance, and increased exhaust emissions result from heavy deposit buildup. So there you have it….an Induction Clean just makes sense….